KARACHI: For the three 15-year-old students selected to represent Pakistan in one of the largest high school tournaments in the world, The Karl Popper Debating Championship (KPDC), the first-time visit to Mexico became their time to shine. Not only did the Pakistani team win the final against the team from South Korea, but all three participants were listed in the top 10 speakers of tournament. 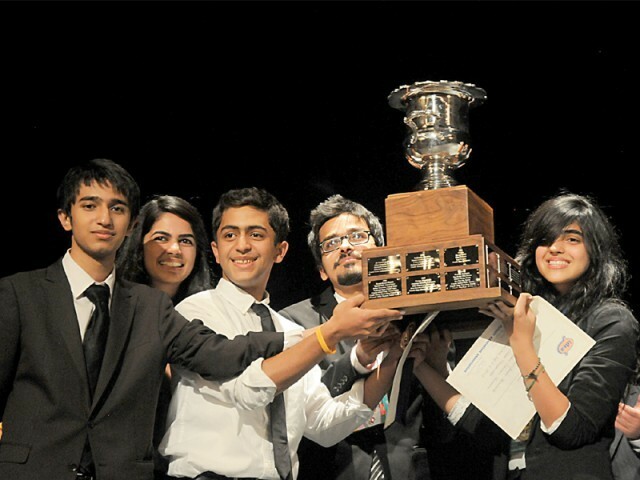 The titled was achieved after winning through 6 preliminary rounds, 3 elimination rounds and the grand final. Karachi Grammar School student Zainab Hameed was named the top speaker of the competition while Azeem Liaquat, student of the Salamat International Campus for Advanced Studies in Lahore, came second. Their compatriot, Ahmed Shujaan from the Aitchison College, was not far behind either and bagged the fifth position among more than 200 participants. Great success, marvelous achievement. we are proud of you all. Thanks for the comment Dr. Izhar.